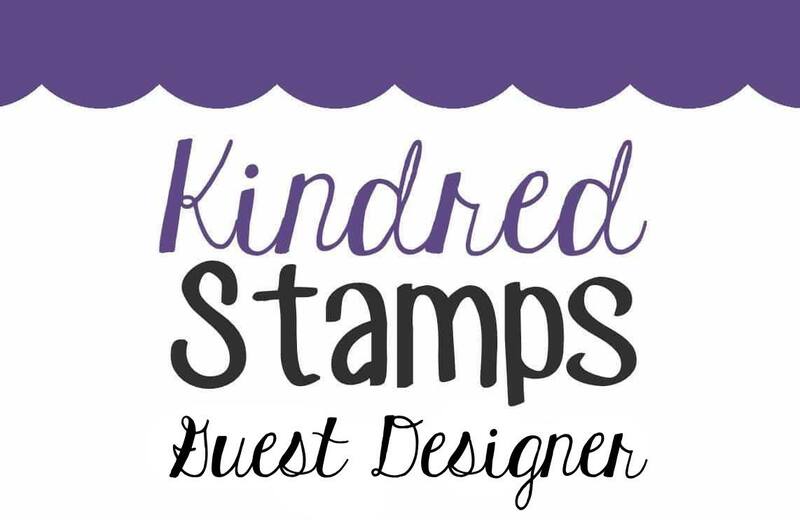 It's always fun to be able to share a Kindred Stamps card with you. I'm such a geek, and their stamps are right up my alley. Today is no exception. 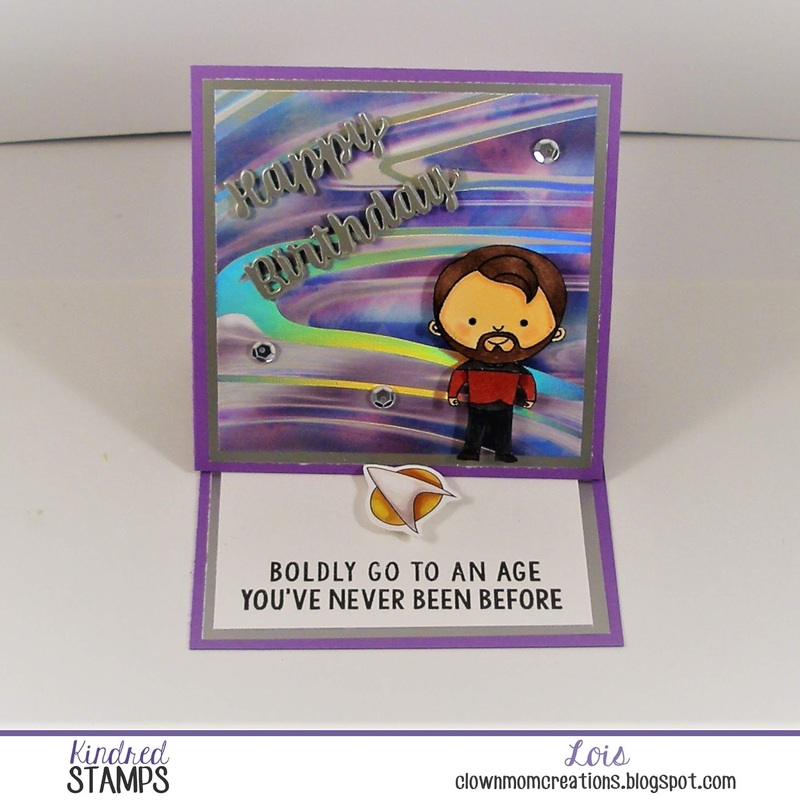 Today I have an easel card made with The Next Space Explorers set. 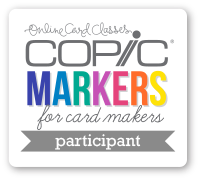 Easel card are so easy to make and yet make a great impression. I had found a great pad of patterned paper called Stargazer in Hobby Lobby several months ago -- with lots of designs that lend themselves to several of the "outer space" sets that Kindred Stamps has released. 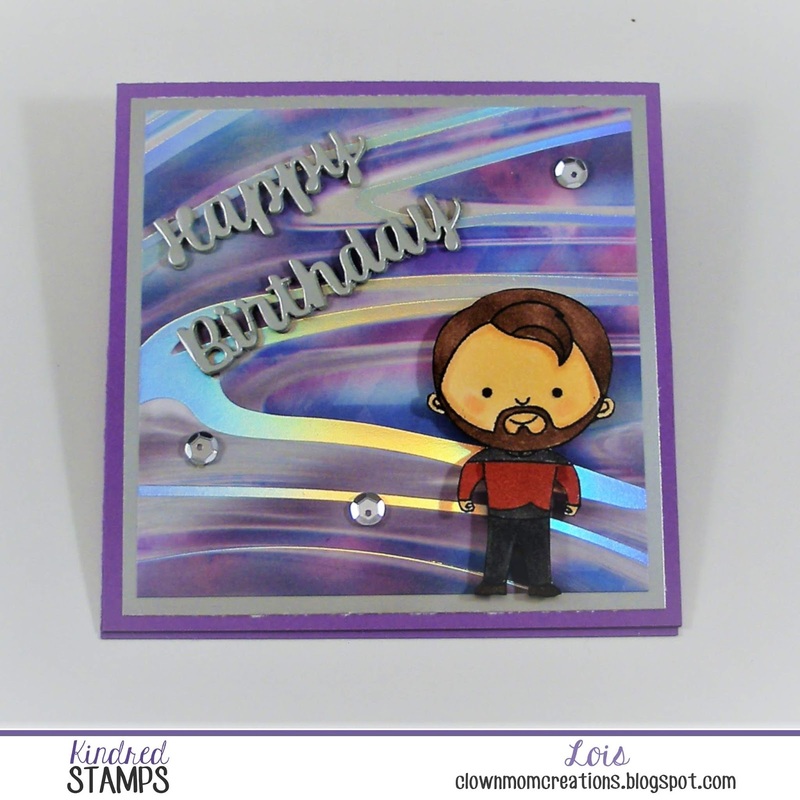 After creating the easel, I stamped, colored and cut out the character for the front and popped him up on foam dots. 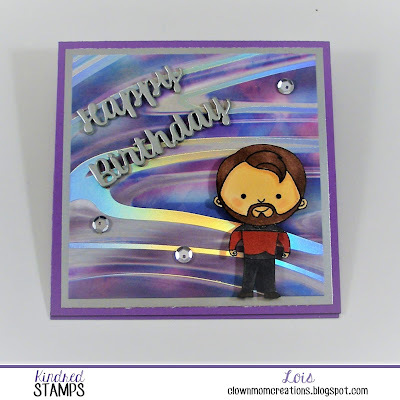 The "Happy Birthday" sentiment die is from Karen Burniston. 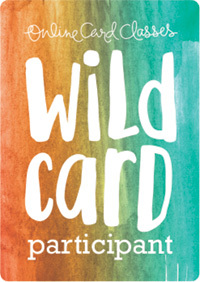 I cut it out five times (four from gray cardstock and one from silver paper) and layered them together so that the sentiment would stand out from the background. Then added a few sequins for good measure. I used one of the coordinating stickers for the "bumper" on the inside to make the easel stand up. Actually, what I did was put the sticker onto a scrap of heavyweight white cardstock and cut it out so that the bumper would be very sturdy. There's a large foam adhesive pop-dot on the underside of the sticker. As you can see, the easel stands up very nicely. HINT: To conserve on the more expensive silver paper, I cut the sentiment from one of the matting panels. It was going to be covered up anyway! 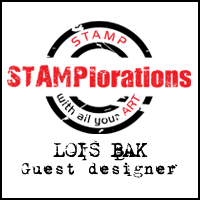 My name is Lois, and I've been stamping since 2006. 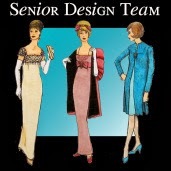 I retired a couple of years ago; and, although I volunteer at my church and a local non-profit, I do spend a great deal of my energies on this exciting hobby. 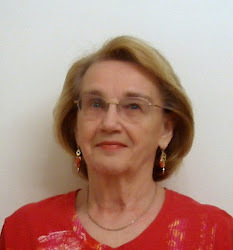 My late husband and I raised three children, and I have eight grandchildren -- from age 10 to 28. 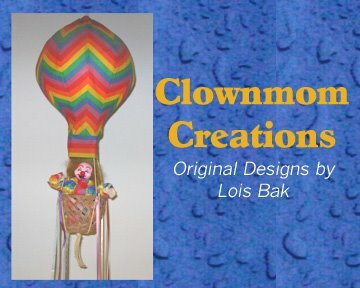 Clownmom Creations Blog is a personal hobby blog with the sole purpose of sharing paper crafting projects. I don't make use of any personal information shared in any comments or any third-party applications such as email subscription services. 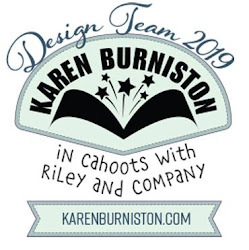 Karen Burniston DT Challenge -- Love, Sweet Love!